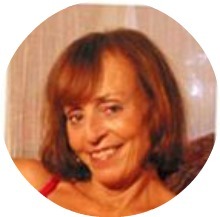 Anne Nayer is the founder of Life Coach Paradise residing in the beautiful Caribbean. She is a Professional Life Coach who actually does live in Paradise! Anne works with individuals, groups and organizations around the world who want to succeed, feel good and produce extraordinary results in their personal and professional lives. Since she truly believes that people create their own realities, she knows that you can create your version of paradise. Learn more about Anne’s services at Life Coach Paradise.